Lindsay and Kevin Julian are what you'd call a "Power Couple." Yes, they live in a bustling city with interesting jobs, a beautiful home, a fur baby kitten, with building projects and fun possibilities on the horizon. But that's not the kind of success and power that I'm talking about. I'm talking about the kind of power couple, the kind of marriage, that can make it through anything that life throws at them. 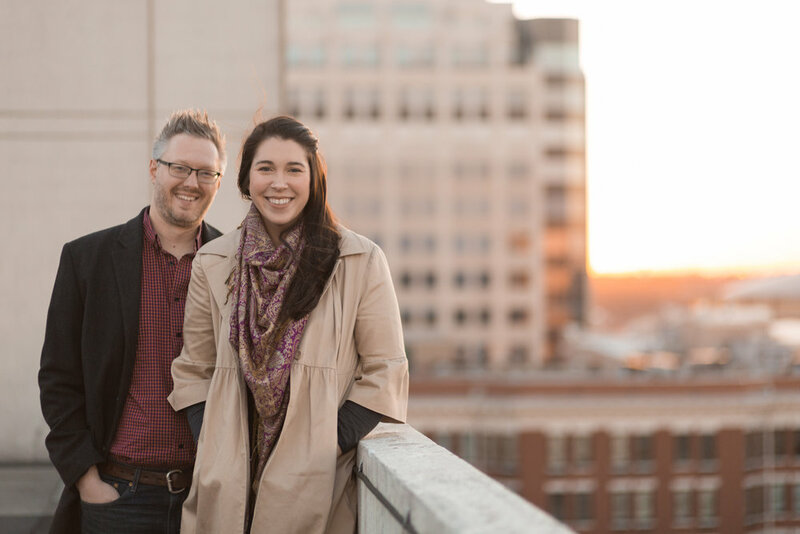 This year Lindsay and Kevin started drawing up plans for new projects they wanted to build this year and next, but they also suffered confusing and relentless injuries from herniated discs, back and neck pain, and more. 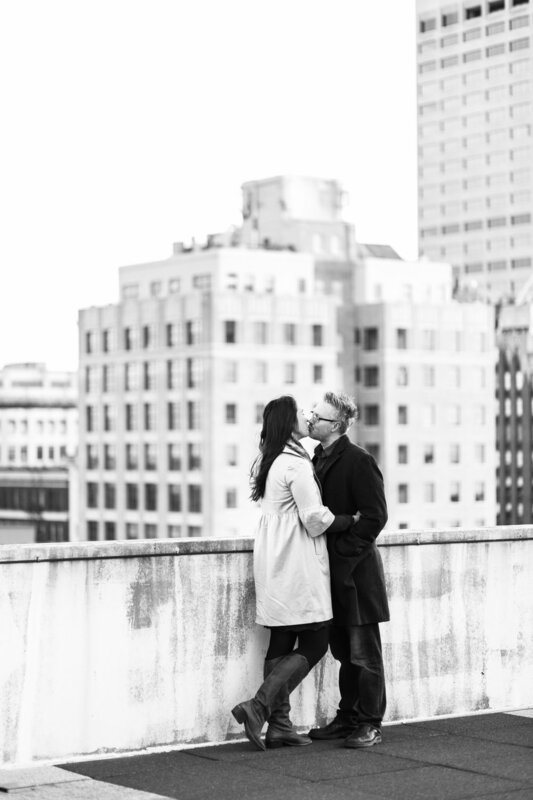 It was a hard year for them, but I've never been more proud of how they have handled it as a couple; with even more relentless prayer and patience. 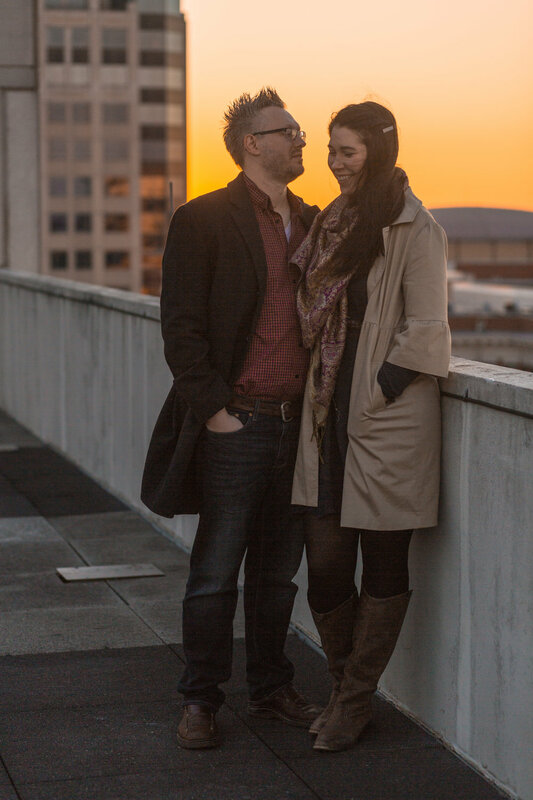 As family of Lindsay and Kevin, I can say that they are great models to me and my husband. I am so thankful for them. A little bit of the sunrise behind the Autozone Building. 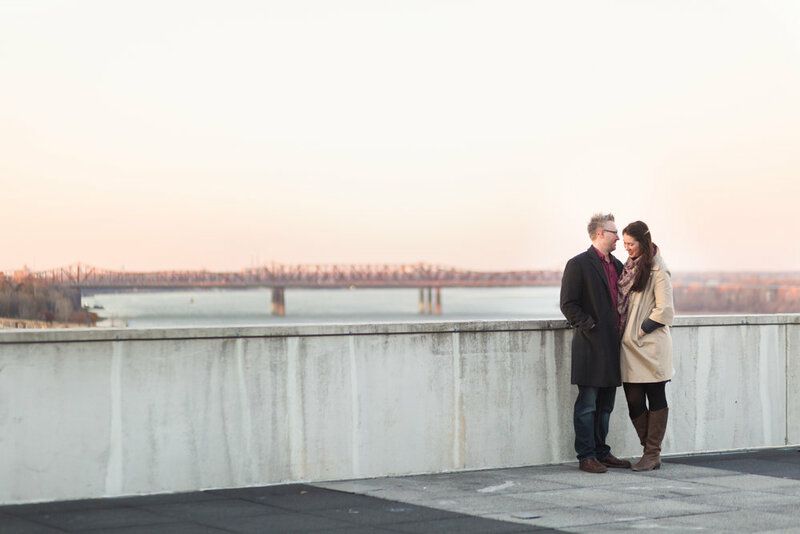 The two were such troopers to get up before the crack of dawn to drive downtown and take pictures on top of the Autozone Building in Downtown Memphis. Ever since Kevin started working there and showing us the beautiful skyline at the top of his home office, I wanted to do a session there. It was a dark, the wind was howling, and it was dipping into that dangerous "below 30 degree" zone that made your bones shiver. But, Lindsay and Kevin dressed as warmly (and quite fashionably) as they could and braved the cold. I'm so glad they did! Take a look at these great moments in the Memphis sunrise! I love these two so much! And the blessings they bring to my life! I couldn't have asked for a better family, or a better shoot, despite the cold! My prayer is that you also see the things in your life that God is working together for His good. Comment below what small things God has been faithful in in your life! P.s. 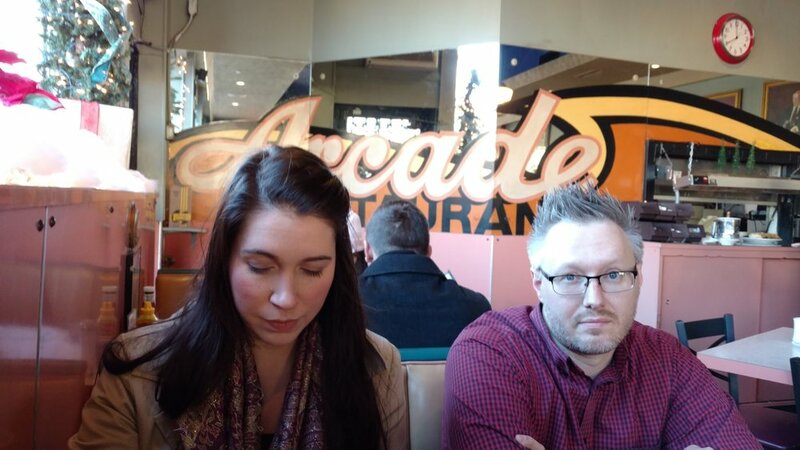 Here's a few fun phone photos from The Arcade, where we had a delicious breakfast afterwards.